Young Gifted and Black: Donald Sterling abused son who O.D'd on drugs...friends say. 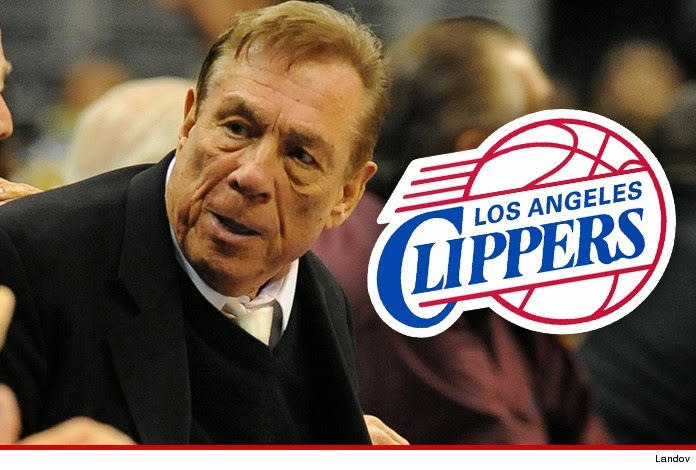 Donald Sterling abused son who O.D'd on drugs...friends say. How does this not surprise me? And I love how the article says he "badmouthed" black folks, instead of using a more stronger verb to describe his vicious racist, verbal assault. Oh, and for some reason the fact that he had the largest housing discrimination case in U.S. history is being conveniently left out in the media..
Los Angeles Clippers owner Donald Sterling, before becoming a pariah, was an exhibitionist, a racist bully and a child abuser, according to a pair of family friends. “I think Donald is embarrassing and disgusting,” said Cheryl Bogart, whose family has known the Sterlings for 30 years. Her half-brother, Phillip Scheid, recounted Sterling’s son Scott coming by the house with belt marks across his buttocks when the two were growing up. “Donald was whipping him and beating him,” said Scheid. “He’d come over with slashes on his back, my mom would cry and we’d hide him in the closet if his father came looking for him. Scott Sterling died of an accidental drug overdose last year at age 32, and the siblings say they believe his dad bears the responsibility for the tragic demise.